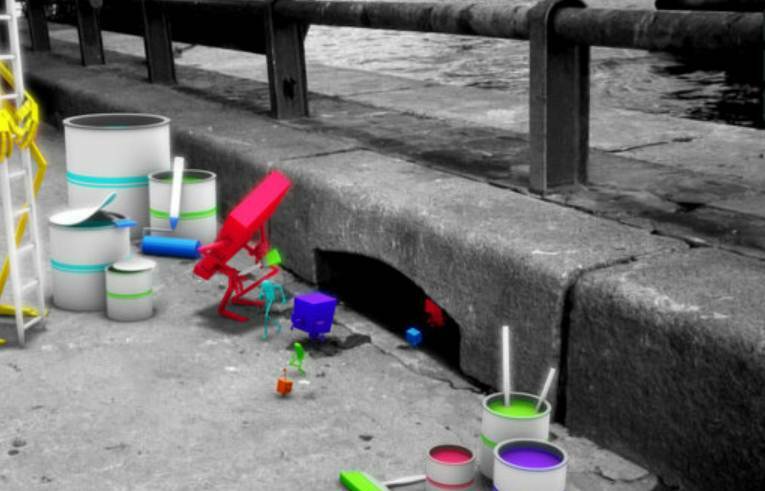 Sit back and watch this video while some little creatures that are very happy, helpful and creative change Paris from black and white to colour. These little favourite creatures have gone out of their way to make the whole of Paris have a meaning and a colour to it. 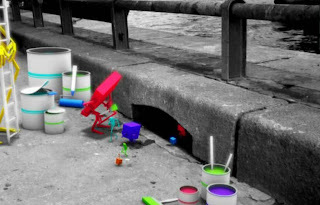 What they are using in this video to make Paris brighter is their little paintbrushes with their paint pots. Reulf is a student project. It was directed by Quentin Carnicelli, Charles Klipfel & Jean-François Jégo as part of their graduate program in "Arts et Technologies de l'Image" at the University of Paris VIII. The Music "Reulf" composed by Robert le magnifique & Olivier Mellano.